A pure sweet European cider apple which arose in Devon, England in the early 18th century. 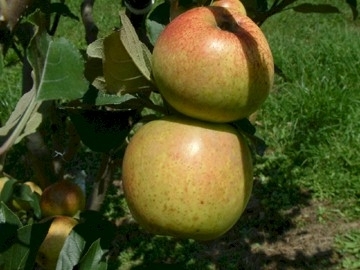 A pale yellow apple with soft, sweet flesh with low tannin and low acid. Produces a good quality juice with no astringency, making a sweet to very mildly bittersweet cider. A biennial producer ripening in October.